We are ELA. Elevated Lifestyle Appliances. We are dedicated to making brilliantly innovative and useful products for both, the residential cook and the professional chef. Our products will be encouraging an enthusiasm for cooking and have their merit in simplicity, functionality and quality. 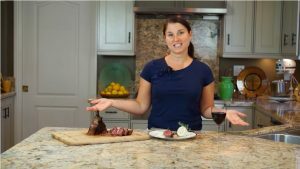 ELA’s first product – Steak Locker, a series of Smart Dry Aging refrigerators and its companion app are designed to inspire creativity and encourage experimentation through high-quality interactive content, techniques, tools, and resources. Our small team is made up of 15 different personalities, some are chefs, engineers, artists, computer scientists and marketing professionals with one goal, every day working to improving and developing brilliantly innovative and useful culinary tools. We truly believe we understand what consumers might want in their new kitchens – the heart of every home. By constantly innovating and occassionally failing, we pledge to pursue major improvements at the intersection of lifestyle, culinary art and entertainment. Claus is the product visionary and business driver of ELA. 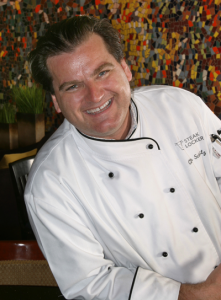 Claus spent 12 years as a Chef across Europe and Bermuda. He followed his profession to Australia and for the next 18 years worked in management positions at the Sydney Opera House, International Luxury Resorts and Asset Manager for the largest Tourism Property company in Australia. In 2003 he moved to the US to own and operate his own group of Restaurants which were sold in 2013. He is a graduate of Fulda’s Institute of Technology and Bermuda’s College at Stonington Beach. Nadia with her formidable drive for building service excellence is the operational leader of the team. She has been a Marketing and Sales executive for 5 years with an award winning multi unit restaurant group in St Louis. She has extensive experience in services and commodity marketing after spending 8 years with the Fox Television Network. Nadia earned her Bachelor of Arts in Communication and Journalism from Fontbonne University in St Louis. Peter leads the team that provides us with world class creative technology options. A wireless professional with 20 years of experience in the wireless industry including manufacturing, firmware development, data applications and smart-phone applications. Peter has been responsible for R&D and business for Nokia products, selling in excess of $18B. He is currently dual CEO and founder of wireless technology related start ups. Joel Crater leads our strategic marketing and sales channel directions. He is a serial Medical Device Entrepreneur with 3 successful corporate buyouts. 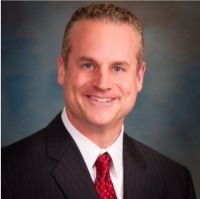 Joel has over 20 years of commercial experience in the medical device and biotechnology markets, including various leadership positions in sales, market development, international sales and distribution. Joel is a graduate of the University of Missouri-Columbia. and runs his own medical device firm. Gustavo steers our design and user experience team. He has been creating mobile and web applications for over 10 years and has extensive experience with UI/UX principals and design. 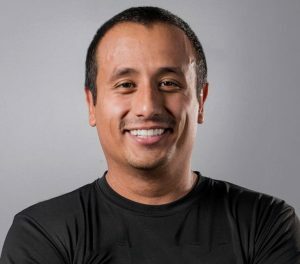 Gustavo‘s mobile apps have been featured on the Apple App Store and has worked on third-party launch apps for some of Apple’s new product releases including the Apple Watch 2. He is an Air Force Vet and passionately supports his causes.